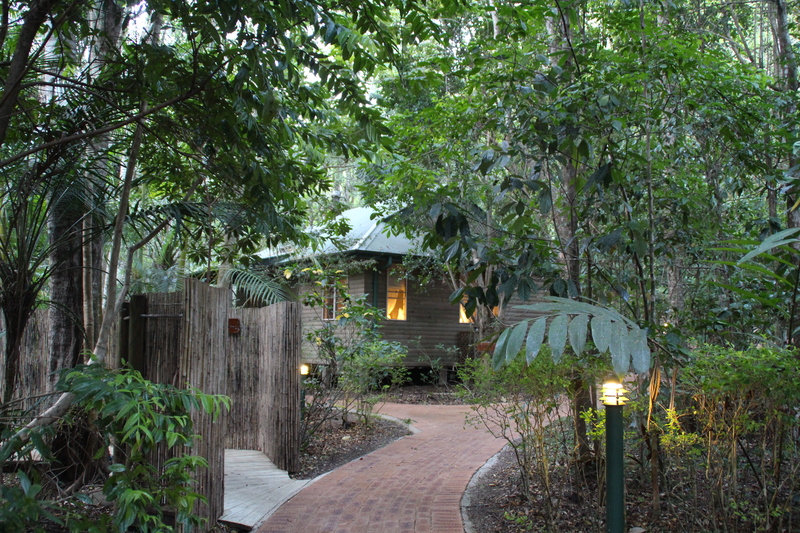 Over the years my husband and I have had many happy retreats to the Sunshine Coast, more often than not staying in Noosaville. This time, hanging out for a last little snap of winter, a bit of green and a dash of red, we headed to Montville – a little inland from Noosa and set between Baroon Pocket Dam and the coast, abundant with rain forests and delightful crafty village shops. We found just the sanctuary we had a yen for at Narrows Escape. A small retreat run by the most delightful people who seem to anticipate everything you might need before you even consider it. Each wooden cottage is nestled amongst the trees, some alongside a little creek and all with a hammock, spa bath and fireplace. 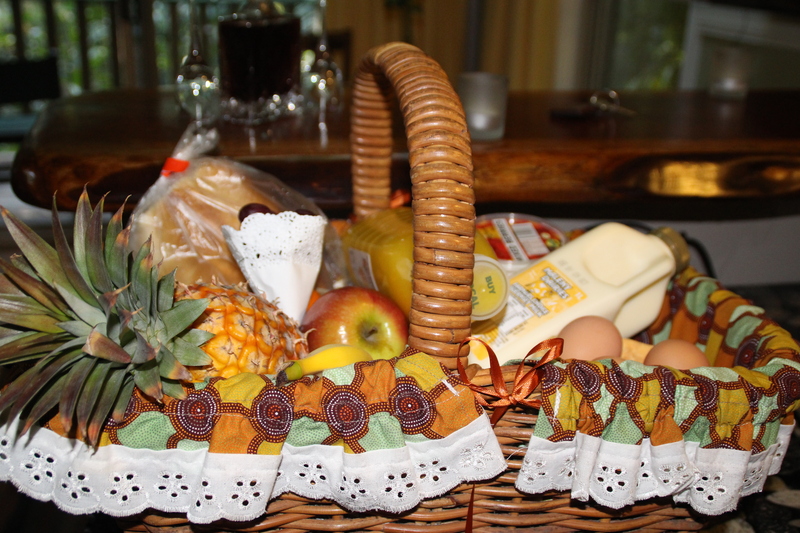 For once it was nice not to have to pack any provisions, as included in the rate was an impressive breakfast hamper laden with eggs, bacon, fruit, spreads, orange juice, milk and chocolates; a welcome bottle of bubbly and a cheese platter. Every morning we had warm, freshly baked croissants delivered to the cottage with the newspaper on Sunday, and if we had chosen not to venture out we could have had a two-course meal cooked and served to us in our cottage. 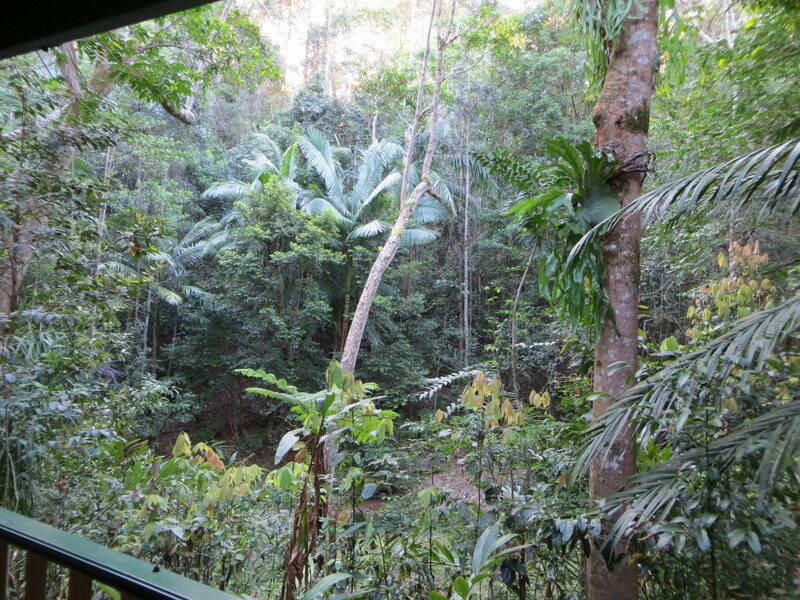 We spent the first morning walking up an appetite in the rain forest and then settled in at Wild Rocket @ Misty’s for a lazy, lengthy lunch over a bottle of wine. Situated in one of the most historic buildings in Montville, but serving modern bistro-style food, Wild Rocket offers great value with a side of charm. The burger is a hunger buster and loaded with freshness and zing. 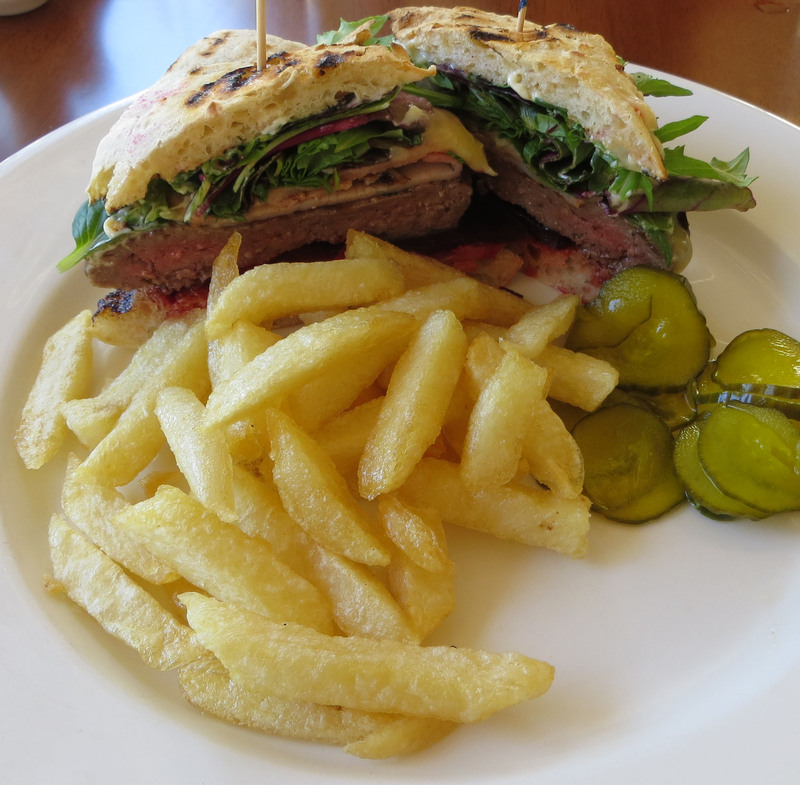 A proper homemade beef patty, perfectly cooked and juicy, with smoked chilli relish and pickled cucumber a perfect complement to the bacon and hand-cut fries. 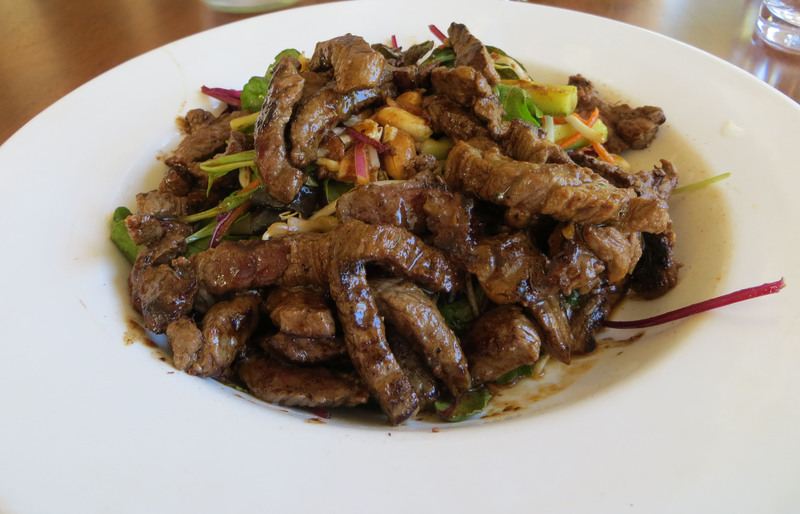 The Thai beef salad is just as well balanced and fresh. So good in fact that we returned the next day and switched choices. If you haven’t been to the hinterland before, it’s a great place to the get the cement out of your system. One of the most beautiful walks is to be found at Kondalilla Falls and an easy half hour drive takes you to the Eumundi market on a Sunday. A little way away, tucked into a surprising sanctuary in Yandina, is my favourite Thai restaurant – Spirit House. Posted on November 24, 2013 by lynnewarren	• This entry was posted in Great Grub and tagged Baroon Pocket Dam, Eumundi, Kondalilla Falls, Misty's, Montville, Narrows Escape, Spirit House, Wild Rocket, Yandina. Sunshine Coast Hinterland. Bookmark the permalink.